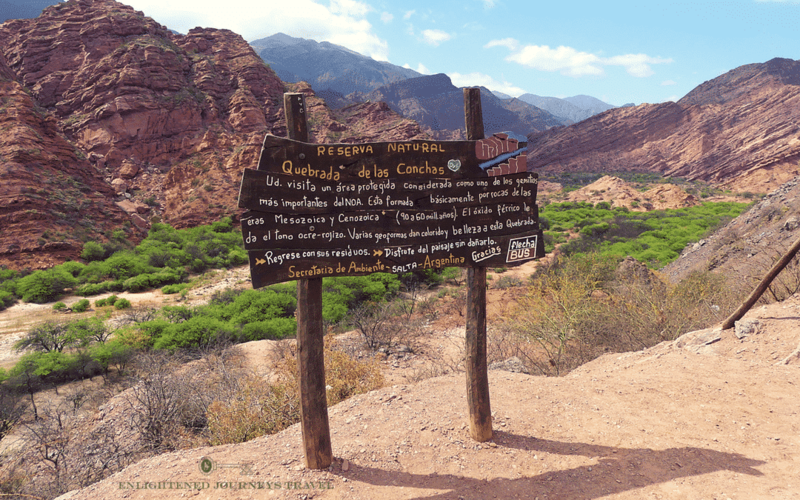 Perhaps you already read Theresa’s blog post about her day arriving in Salta, Argentina, and what she could experience in the city itself. 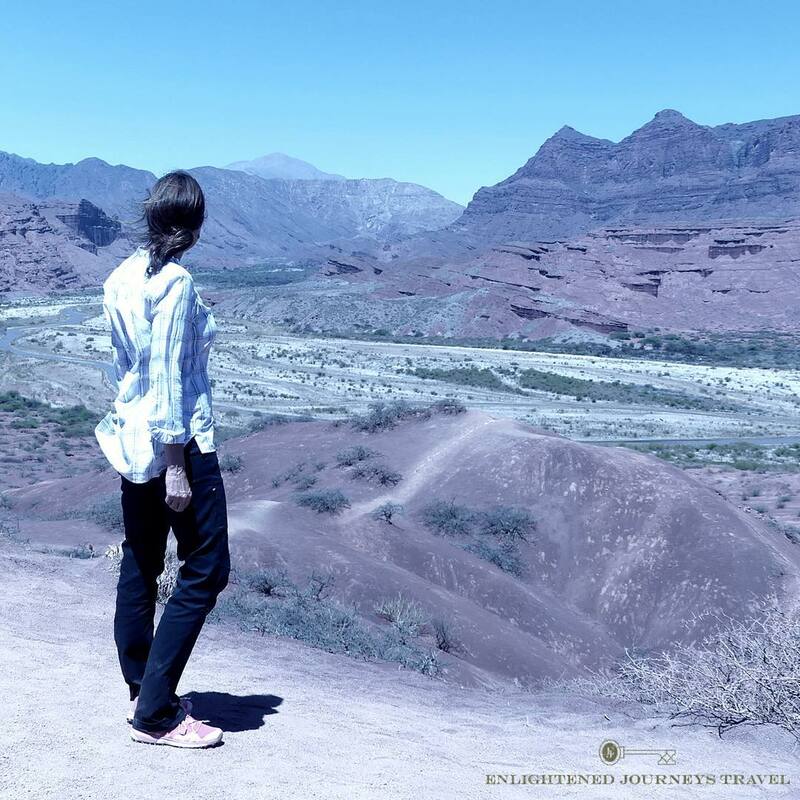 This is the second part of her Salta exploration, traveling to Cafayate, sharing Argentina travel tips, and things that excited and moved her. The day of touring could have been an ordinary drive from one city to another, one an old area capital and the other a wine center. But this is Argentina, a country of such natural diversity that there is nothing ordinary in any exploration even within an hour’s drive. And I was in the hands of hosts who cared about what I was interested in and who had a deep passion for the area. And so it was that I met Ignacio, my travel guide, and Marcello, our driver, in the city of Salta, one of the oldest cities in South America. Beautiful Salta founded in 1582, with its terracotta roofs, iron wrought balconied buildings was rebuilt after powerful earthquakes in the Neo Colonial style in the 1930s. The central city square and nearby surrounds host a cathedral and other major churches, atmospheric buildings of a bygone era revitalized into restaurants, shops and art spaces. 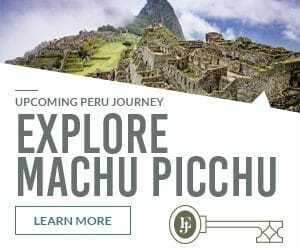 It lies on a high-altitude flat valley stretching between 2 mountain ranges, the dramatic craggy Andes and the softer rounded Oriental Range, where the Incas once resisted the Spanish. We leave Salta behind and drive south on Route 68 past tobacco and sugar cane fields and through small sleepy villages that come alive with constant zamba (not samba) dancing parties under tents in a unique carnival celebration that lasts an entire month leading up to the beginning of Lent. Here, humble low houses, some made of adobe, and former fincas both shaded and protected by deep porticos dot the landscape along with tobacco drying barns. Sleepy horses are tended and tied along the road in case anyone tired of walking needs a ride to the next village. The spring day is mild and the valley brown and dry, but I can see green creeping up the mountains to cloud and rainforests. Flowers are spilling from window boxes and enlivening village squares. Here is home to the Andean Condor, he says, who could be seen in the early morning and evenings when they step off the ledge to ride the wind currents. They use their vantage point to conserve energy of the effort to lift off with that massive wing span. I feel I must content myself to just seeing how they lived. Theresa’s Argentina Travel Tips: Take your time to just be, don’t rush and take this as a picture spot, and nothing else. 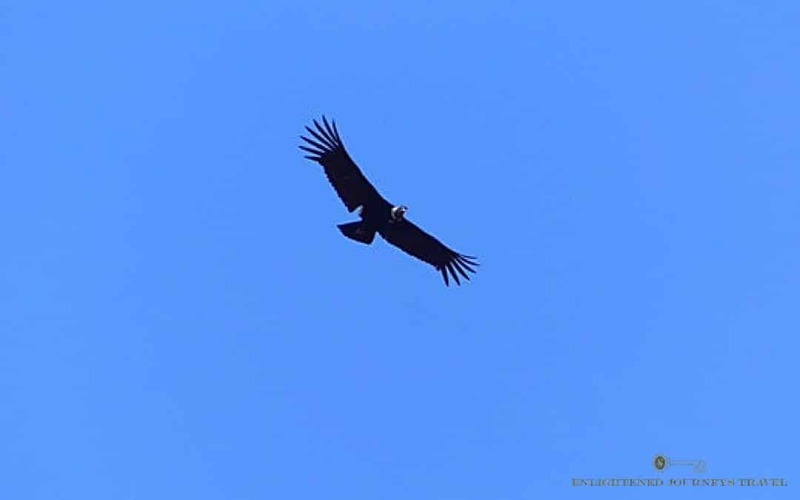 Enjoy the moment when you see an Andean Condor in its environment. Really experiencing this majestic animal moves you in your whole body, mind, and spirit. And there, in the distance, I do indeed see – one, then two, then three gliding shapes of the huge bird. They drift along to us, closer and closer until they soar high above our heads. The sun is wonderfully positioned so I photograph them and all their telltale identifiers – white ring of a collar, that yellow beak, those spread “fingers” at wings’ ends. And My World is Shifting … No Longer a Zoo Girl but an Explorer! In this moment, my world shifted. Where I had only read about this king of birds in books and saw them and pictures of their environments only in zoos, now I saw firsthand in the wild in the Andean. I wasn’t an original explorer or more ancient Incan or pre-Incan dweller. But I was a witness, finally, to a lifeform that seems mythical from the afar contrived zoo or schoolbook illustration. I thought, “There it is, and here am I with it.” I was no longer Zoo Girl by education; I was Observer. Such heady exhilaration must be celebrated. We head out of the gorge where the land once again opens up, this time into a desert region. But the desert, where it runs up against the mountains, somehow yields vineyards! 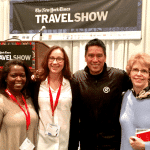 Theresa’s Argentina Travel Tips: Eat local foods and drink local wine. 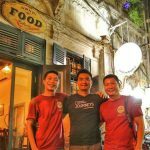 It’s not only a pleasure and enjoy for your taste butts but also something that connects you and let’s you start conversations with the locals. This is the Calchaquí Valley, and the epicentre of wine is in Cafayate, a beautiful little town that reminds me of Santa Fe or Sonoma with a lovely town square and many artisan studios. Up ahead I eventually see the mountain ranges seemingly merge, but before we go there, we stop at a small roadside posta. These stops along old routes were originally places to change horses for fresh ones and get a meal. 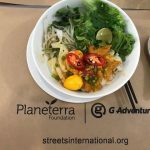 Now they offer local food and occasionally a bed to motorcyclists, cyclists, and other adventurers. 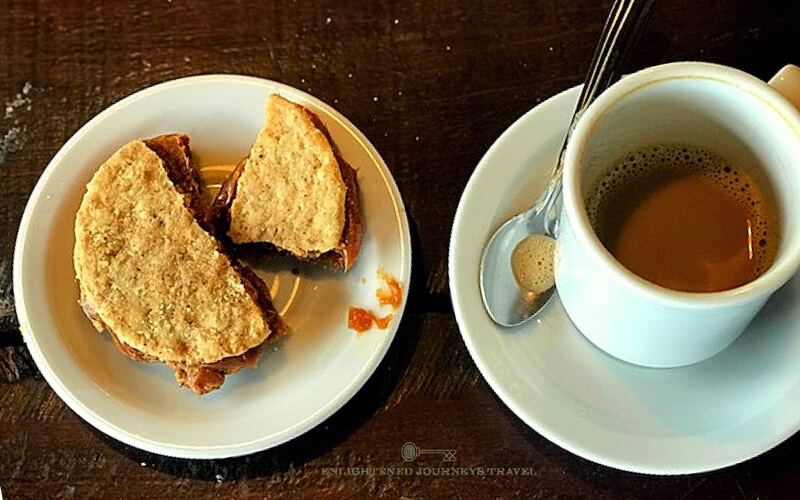 Theresa’s Argentina Travel Tips: Stop to have a delicious cappuccino and homemade alfajoles of crispy cookies sandwiching with double layer of dulce de leche. 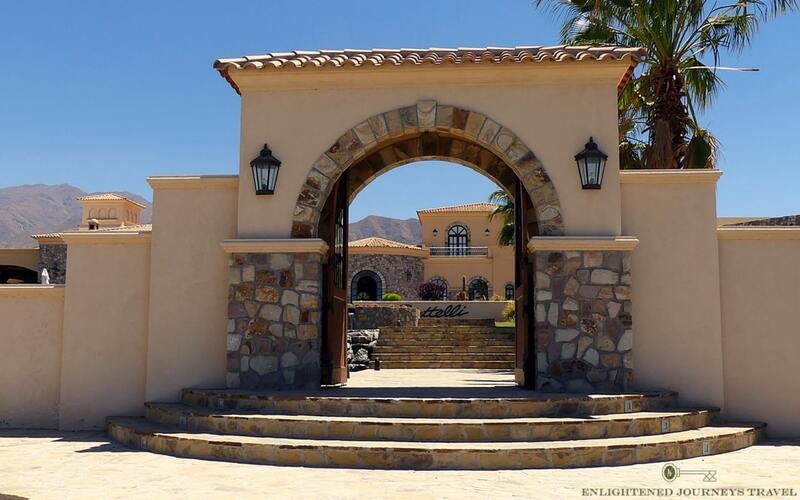 We lunch and wine taste in a beautiful winery that reminds me of a California Spanish style resort by architecture. 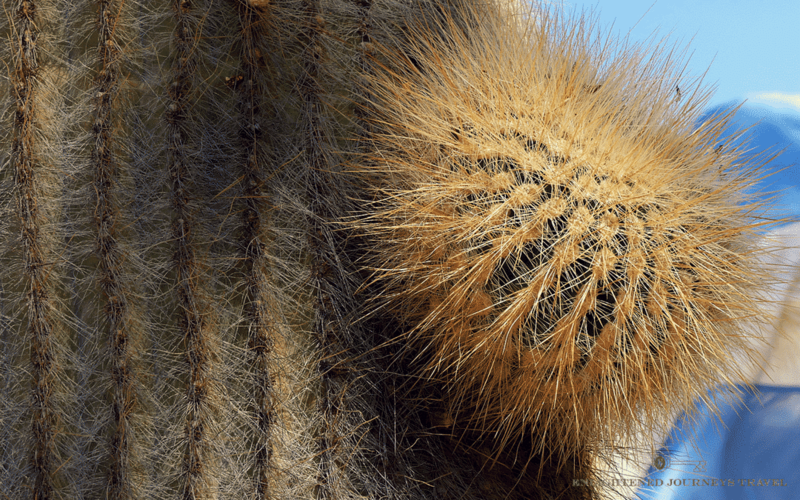 I am enchanted by the desert vegetation: the Opuntia ficus-indica or “tuna” cactus, also known as the flowering and fruit-bearing prickly pear, scrub and patchy grasses, and the famous ancient candelabra cactus known as the Cardon. So slow-growing are these giants, that their size indicates hundreds of years of growth, and so they are protected so that vineyard lines of vines are planted with them intact. At the end of my day before heading back to Salta I spend some time with an artist who collects the discarded wood staves of casks from days gone by and refines them into gleaming boxes decorated with argenta (nickel and copper compound) discs and clever catches etched with native designs. I take back a moment to remind me of a day steeped in natural beauty and wonder, a land tamed by man for hundreds of years, a local spirit which refused to be conquered by Spanish invaders. Theresa’s Argentina travel tips: Get to know the local culture, explore nature that brings you so close to God, and allow yourself to transform … not only during your trip but especially after. The journey doesn’t stop by arriving on your front door steps, the transformation is ongoing. Back in the vehicle we approach the mountainous wall, but a curve and a climb in the road reveals a narrow opening into an entirely new landscape. Deep red clay-colored walls rise up from a narrow gorge of a former deep lake bed. We see no other people except for cyclist groups heading north. The walls call for silence and awe. This is Quebrada de las Conchas, or Gorge of the Shells, so called for the fossils embedded high up its walls from that long-ago watery existence. We exit the car at vantage points to climb through narrow canyon offshoots to impressions of towering testaments to waterfalls that once spilled down from above, such as Devil’s Throat (Garganta del Diablo) and a perfectly acoustic natural amphitheater (Ampiteatro). As we drive on my eyes are drawn upward to where red walls meet brilliant blue sky. Then Ignacio points out small holes dug into the walls- swallows’ nests. And then a large one set back from a small natural balcony ringed in white of bird droppings.